The fouta towel Tweed Taupe is a beautiful towel .The weavers are men and the finishes of the fringes are handmade by their professional women. 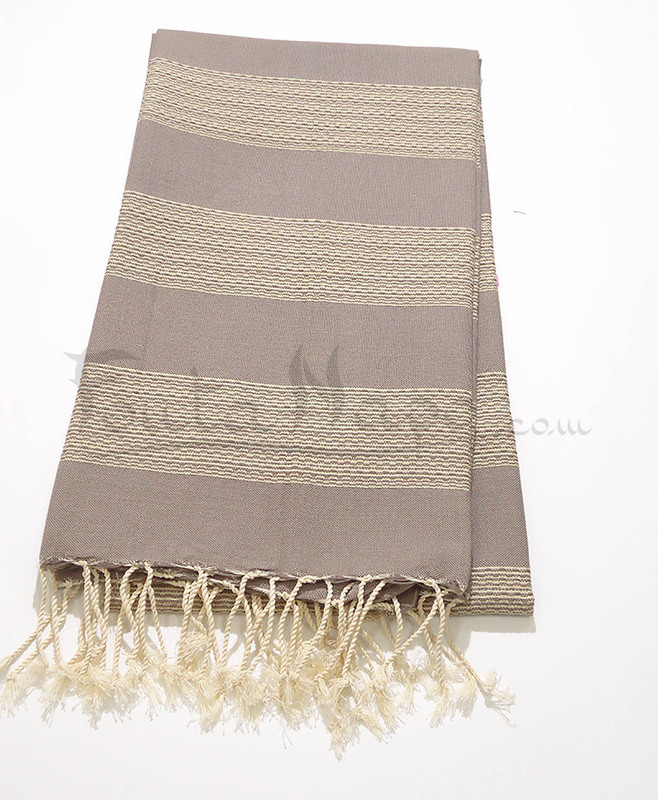 It is ideal as a blanket for sofa, bed covers, curtains, beach towels and picnic. 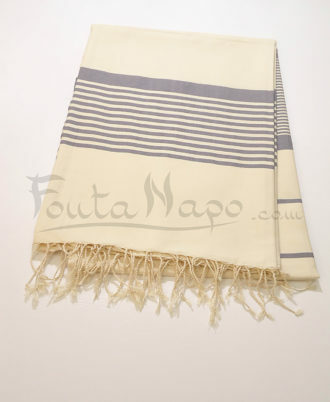 The Fouta finds its flexibility from the first wash. It has a unique design, very soft on the skin, 100% combed Cotton.